The debut CD is finally here!! After many years of trials and spiritual preparations, we have come, with the Lord’s help, to the conclusion of our first professional CD. He Leadeth Me consists entirely of hymns arranged by Parousia and was recorded with much prayer and care exclusively in our home studio. This project is just one of many projects to come. This has been an amazing adventure for all of us, a journey that took us to many places and drew us closer to one another. Through this project we have had the privilege of meeting many extraordinary individuals who have been such a blessing to all of us. We want to thank everyone from the depths of our hearts for the love and support that we have received over the course of this venture, and we hope that you will continue to keep us in your thoughts and prayers in the many—Lord willing—projects to come. 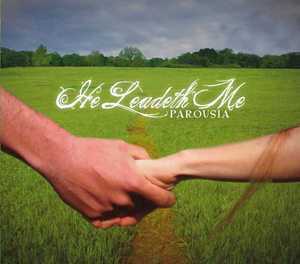 If you would like to purchase He Leadeth Me, go to our website, www.parousiaband.com.